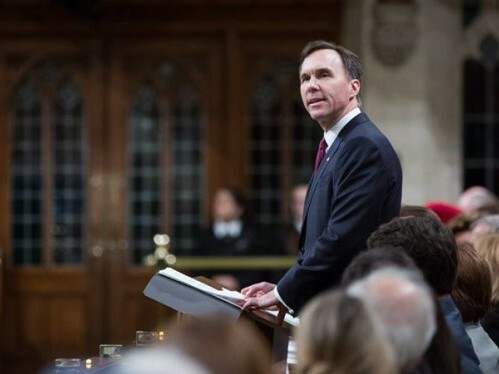 The budget appeared a day after CBC obtained a March 15 letter from Morneau, saying the Trudeau government would soon confirm its commitment to explore Indigenous “economic participation” in completing the controversial Trans Mountain pipeline expansion. Canadian climate hawks were pleased with the new investment but gave the budget decidedly mixed reviews overall. CAN-Rac welcomed the $1 billion in energy retrofit funding, but noted the budget made no mention of continuing the work of the just transition task force, or the hundreds of millions in funding the task force recommended for transition activities through 2030 and beyond. Efficiency Canada Executive Director Corey Diamond said the $1 billion for municipal energy initiatives will help communities reduce energy waste and cut energy costs for homes, schools, hospitals, and social housing. Équiterre Government Relations Director Annie Bérubé welcomed the ZEV incentives as a “good first step” toward an internal combustion phaseout, but warned that limited supply will still make it tough for would-be EV buyers to find the models they want. “The federal government will absolutely have to address the lack of available vehicles in the market if it wants to reach its ZEV sales targets,” she said. The $2.2 billion top-up in federal support for municipal infrastructure doesn’t have an explicit green or low-carbon tint, but still answers cities’ call for a funding tool to address local priorities, CBC reports. “For communities of all sizes, growing this transfer means better roads, bridges, transit, recreation centres, and more. This is about empowering local governments to do what they do best,” said Federation of Canadian Municipalities President Vicki-May Hamm. “This is kind of a means for the federal government and municipalities to have a more direct relationship,” added Sahir Khan, executive vice-president of the Institute for Fiscal Studies at the University of Ottawa. The Stop Funding Fossils Initiative—which includes Oil Change, CAN-Rac, Équiterre, and Environmental Defence—noted that Canada “remains the largest provider of fiscal support to oil and gas production in the G7 relative to the size of its economy,” despite “moderate progress” in Morneau’s 2017 budget.